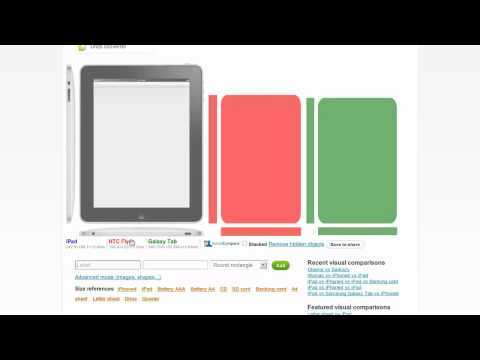 Build dynamic, fully customizable and beautiful tables in any domain. You can compare everything (products, services, objects, concepts, softwares, websites, persons...etc.) with various criteria such as text, date, number, image, video, rating, vote...etc. In some categories, criteria are automatically added/suggested by default (i.e: "last update" criteria). Import easily data of various formats with a copy/paste from web page, excel, openoffice, csv, html files, in order to create new comparisons quickly. If you import data into an existing table, a merge will be done with existing data. Add easily existing items and criteria in order to reuse similar data into different tables and to maintain these data only once by the SocialCompare's community. The modified data will be propagated in all tables using it. Data maintenance will be easier and more collaborative. Explore and choose all the items you want to compare together, adding them to the "comparison scale", in order to generate and save new original comparisons. 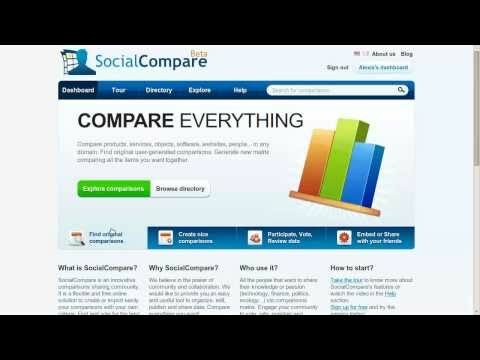 Participate to SocialCompare's community to maintain up-to-date data of all existing and public tables. You can either modify them if you have editor's rights, otherwise you can suggest changes to the creator. All these suggestions appear into the comments area of the table and into the creator's dashboard. You can translate all "multilingual" content choosing the adequate interface language on the top right of the site. For the moment we handle English and French, but soon we will try to add more languages. 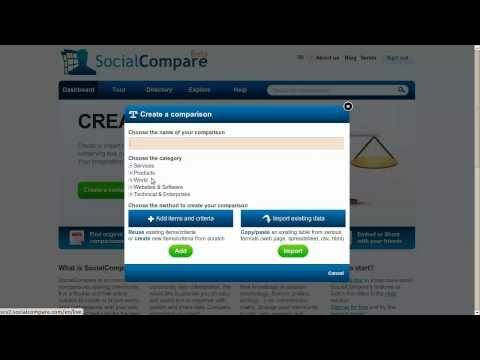 Share comparisons on main social networks such as Facebook, Twitter... and embed easily a comparison table on a blog or website... Engage your own community to update your tables with you. Vote, rate, review, comment comparisons and items... Add the comparisons that you love to your favorites list... See all your recent activities and also updates/suggestions from others on your data into your personal dashboard. Browse comparisons tables directory by category in any domain, explore data using "sorting" option such as last updated/most viewed/most popular... or use the search bar option to find original matrix. Rotate the comparison table, reorganize lines and columns with "drag&drop" option, sort, hide content... Choose your display preferences of the table (numeric/date formats...). "Community" content are maintained by motivated members that want to promote some content (they may have no direct relationship with the item. ie: fan, expert). "Official" content are maintained by a group of persons, which have a direct relationship to the item (ie: product manufacturer, service provider, software developper). "Community" or "Official" data should be normally more reliable than other content. User Generated Data are published under Creative commons and GNU licenses, in order to propagate easily data and knowledge on the web.